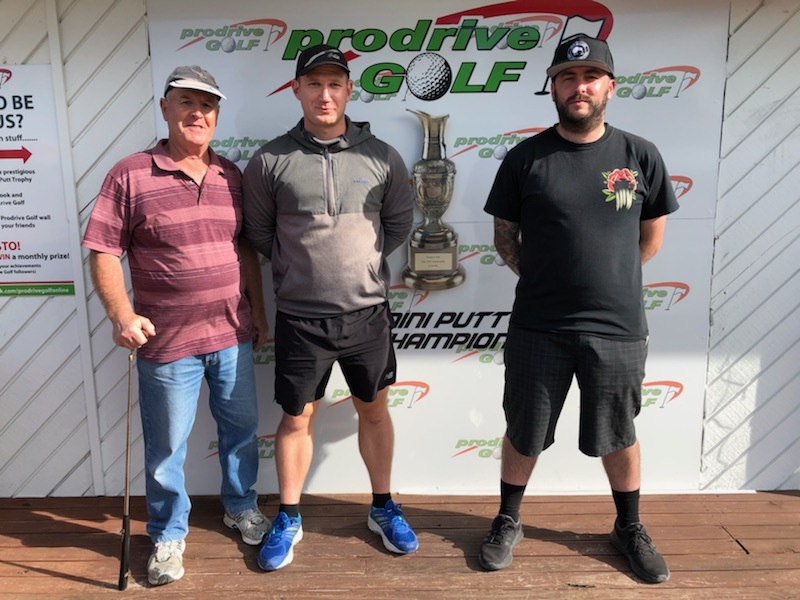 Its time for round seven of the NZ mini golf pro league, time to get back into a little competition play 3 weeks after getting back from Croatia. this seven round is in Mt Maunganui which is a 2 hour drive out of Auckland, I actually had a free weekend the week after I got back into New Zealand just to get a feel for the course. Its a small scale version of a proper Adventure course, some short holes and a feel longer curved holes where at times you have to just tap a short put to put yourself in position to be able to have a line to the hole. I got up Saturday morning early with the intent to leave the house around 6.30am, but with a few drinks the night before with flatmates and a hybrid game of beer pong that was a little more like whiskey pong I was a little slower this morning. I hit the road just after 7 and with a short stop for gas, a snack and a much needed coffee I was on my way. Being a long weekend in New Zealand I was hoping to avoid any traffic, and lucky for me I hit none at all and rolled into Mt Maunganui around 9.30.
i was hoping for a good turn out at this one as the points allocated toward the pro league table are determined by the number of competitors. Having been in second before heading to Croatia but missing round 6 where the current leader John Ansley and third placed Matt Ansley and 4th place Bobby Hart finishing in the top 3 spots I needed a good finish to make up for some lost ground. Over the next couple of hours as I put in some work on my lines which seemed to have changed from a couple weeks back, the lanes seems to be a lot slower than what they were and I found it hard to get in a good groove. 1pm, its game time, it looks like we have 13 competing for this round. Not as many as I was hoping but good to see all the familiar faces show up. Making up ground on the others might be hard this round but you still need to put the score on the board and be consistant. I�m in the second group out and get off to a little bit of a slow start, though I hold one and don�t lose too much coming back in on the back nine and card a 50. The par on this course is 66 and we�ve been told that they don�t have an offical course record so we all have a chance to set the offical record today. Round two goes a little the same as the first, nothing seems to be dropping, the holes that should be a good ace chance I�m leaving short or not giving them enough to come off the back slopes, final score is one shot better than the first, sitting just 3 back from the lead so not far off considering I feel like I�m not putting my best. We have a contender for the course record in round 2 with Murray Cramp rolling a solid 46. Finally as we start round 3 I�ve got my little red Clicker rolling better, I make the turn with a 24, 3 better than the previous 2 rounds and finally drop a couple of aces on the back nine. Matt has just carded a 45 and I feel I�m close to being able to match or better it, I need to finish 2, 2 for a 44. I come up short on the deuce putt on 17 and 18 is not an ace hole at all, it�s a lay up to the bottom of the volcano and then firm up the slope. I under hit the first shot, try to drop the second but under hit it, it rolls back past where I hit the second from. I have to take my medicine tap it to the bottom of the volcano and make 4. Its a 47, not too bad but I�m now 5 shots back. Last round, I�m grouped with Matt Ansley who has the 5 stroke lead over myself and Bobby Hart who is just 1 in front of me in second. The story of the front nine is to limit mistakes, not to force the issue as you can blow out if you aren�t careful, through nine I�ve moved into second but with Matt also carding a 24 I�m still 5 back. Onto the back nine where if the ball rolls right you can get close to an 18, but again the clicker isn�t dropping for me, the ball is sitting on edges or lipping out, Matt is putting it well and drops a couple of aces coming in. With 3 holes to go I know we can�t catch him so my focus turns to holding on to second. we get to 18, Matt takes 2 and records the new course record 43. I reply the third round and have to take my medicine and take 4 for a final round 48. The final standings are Matt with a back to back win after winning in September in round 6 with a total 184, I held on for second with 194 and John Ansley the league leader snuck into third with 195. All in all it was good to get back and playing the local league, I'm happy with second and still room for improvement, coming from Croatia where even on the Adventure course you had a chance for an ace on every lane, playing lay up shots was a test of mental patience but still fun. Roll on round 8 and the last one of the year before we take a break over December and January.